Car Rentals in Wellington couldn't be easier. You can hire vehicles at the airport, ferry terminal, or in the CBD. Most companies will also deliver your chosen car to your door, whether you're staying in a hotel, apartment or campsite. 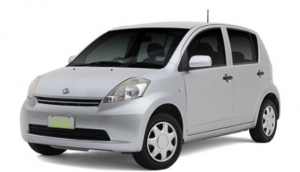 Wellington Car Rentals offer the most flexible way of getting around during your stay. If you're arriving by air, the airport has over a dozen car rental desks in the Arrivals Hall. Pre-booking is always advisable to guarantee the best rates. Airlines will also often have affiliate deals with certain rental firms - definitely worth checking out before you arrive in Wellington. If you're landing by ferry, there are a few car rental firms based near the Interislander Ferry Terminal in Kaiwharawhara. Miramar, in the east of the city, also has some outlets. In the CBD, Victoria Street, Cuba Street and Willis Street all have several big rental names. Not all firms are the same though. Do check out the specific deals on at any one time. If you strike lucky, you can hire a vehicle that comes with nifty little complimentary extras like GPS and child seats, that you'd usually pay extra for. Drivers must aged 21 or over, with a full driving licence from your country of origin.